Aaalso, ich habe mir vor 2 tagen einen gebrauchten hercules rmx gekauft (ohne software). nachdem mein computer (windows 7) bzw. der usb hub den controller nicht erkannt hat habe ich einen usb hub mit stromversorgung gekauft woraufhin der controller erkannt wurde und ich den treiber installieren konnte. ich dachte nun dass ich es eigentlich geschafft habe dem war/ist aber leider nicht so. -denn nachdem ich mixxx heruntergeladen und gestartet hatte fingen die richtigen probleme erst an. und zwar habe ich erstens KEINEN SOUND und zweitens gehen KEINE TASTEN und alles andere auf dem controller... obwohl ich die soundkarte des controllers ausgewählt habe. weder habe ich bei dem kopfhörern sound noch bei der stereoanlage (ich habe eine chinchverbindung vom hercules out 1-2 zum verstärker in.. das ist doch richtig oder? okay, i'll try this, thanks a lot! but how to load the midi mapping? i did everything like you wrote, but i still have no sound.. i'm trying only with headphones right now. 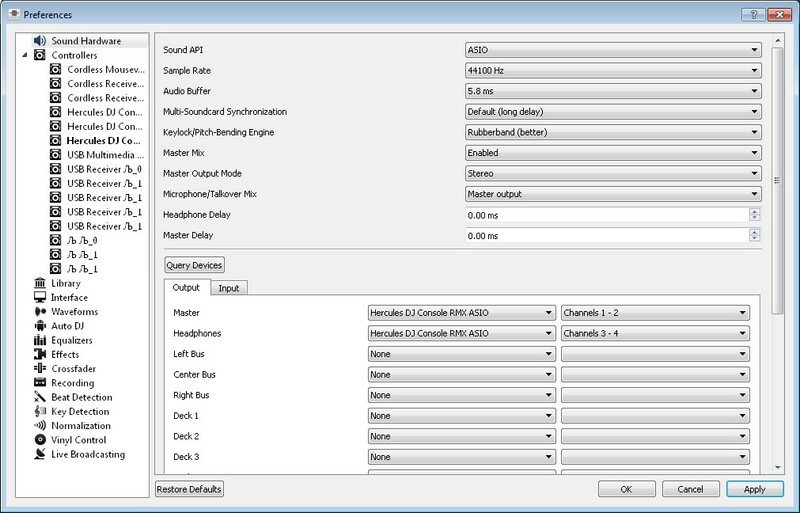 how do i select the output if i only use headphones? I answer instead of Max as I have access to a unit of DJ Console Rmx 1, while Max has no Rmx 1 today. 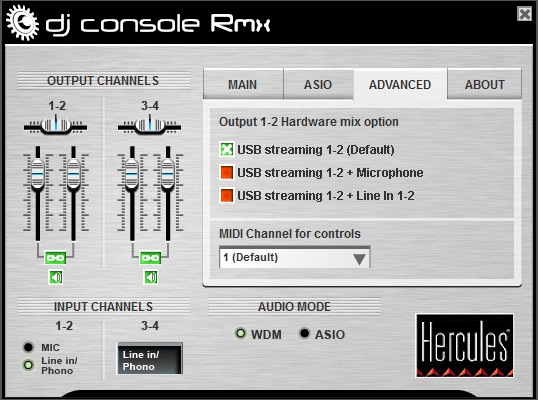 They seem OK, you must make sure you have set the Rmx Audio mode in ASIO (in DJ Console Rmx control panel) before running Mixxx. 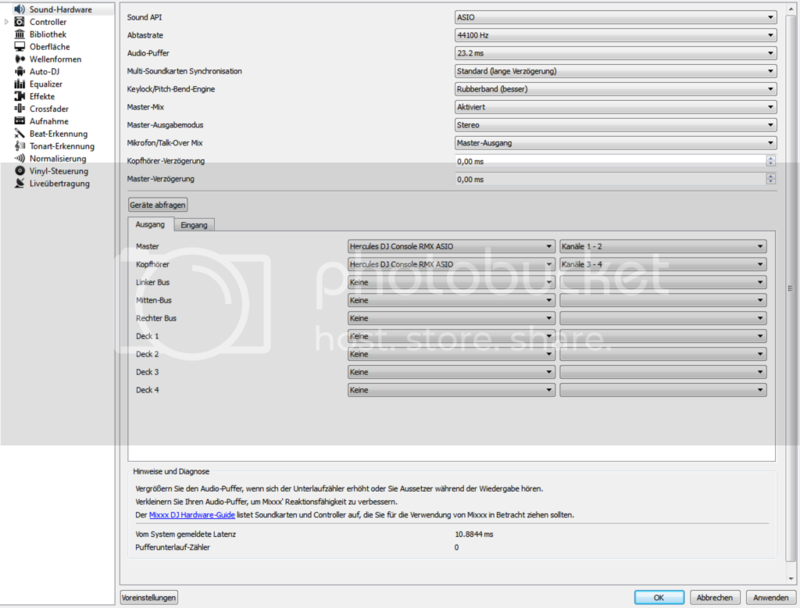 If you have no sound with the Mixxx audio setting of your screenshot, make sure you did not let the Rmx Audio mode on WDM (it is its default mode). 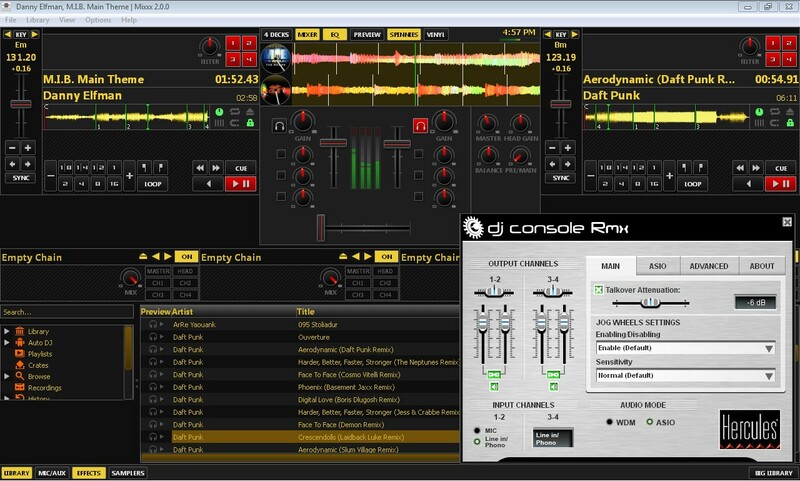 Here you can see my DJ Console Rmx control panel, with Audio Mode set on ASIO. 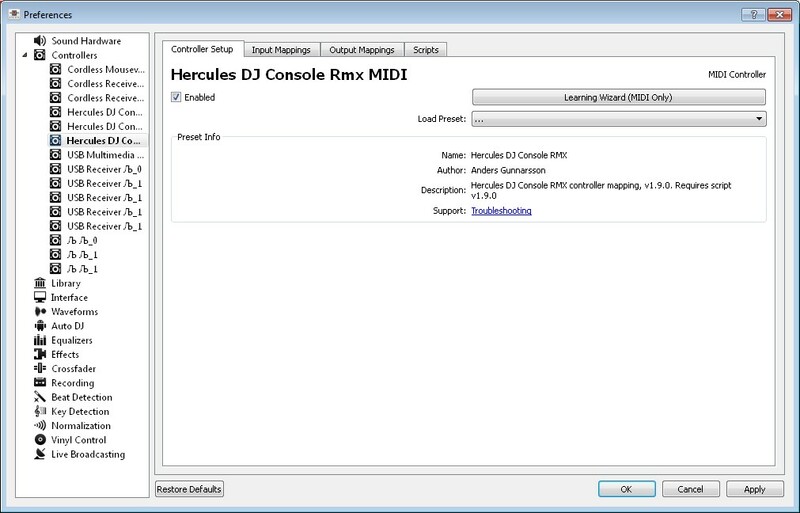 And Here you can see my Sound Hardware setting in Mixxx, it is the same as yours, but in english (with a lower buffer size as I take a 4ms buffer in DJ Console Rmx control buffer). - set it to the Cue position to hear the preview (the deck you select with the Cue Select button). It is OK, I have the same setting as yours as you can see hereafter.